I made these a couple of months ago for a customer. I couldn’t say no when she told me what she wanted! They were for her partner, who she is trying to convince to get a pug (he wasn’t yet convinced when I gave them to her, but hey – maybe the cake swayed his mind and they now have a four legged family member!). As someone who TOTALLY understands the desperate plight of convincing others to get a dog, I had to help a sista out! I couldn’t leave my poor little guy Mason out of the fun, so I made him a mase-cake. 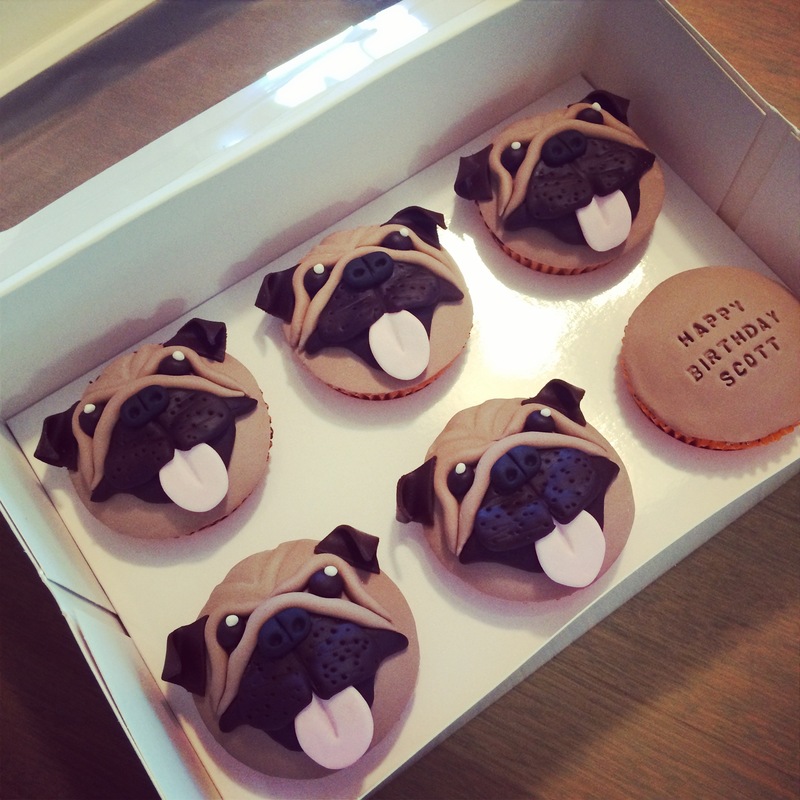 I just searched for pug cakes on pintrest to get a general idea of what I wanted them to look like. They were VERY time consuming, but super adorable! 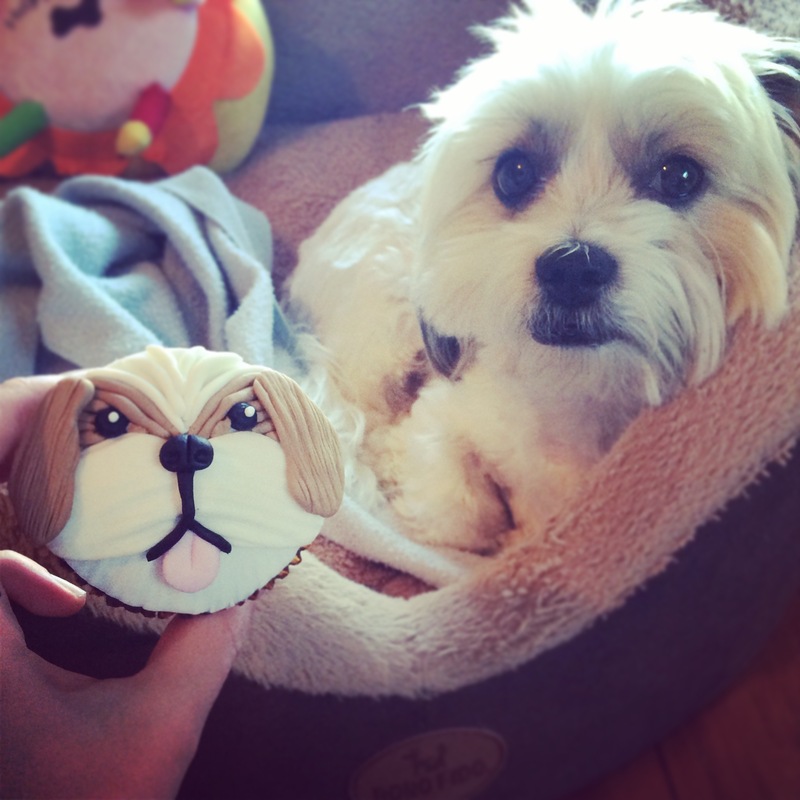 Hi Micaela, those pug cupcakes are phenomenal! They really capture the pug face and the white dot in the eye is a genius touch. Love them!